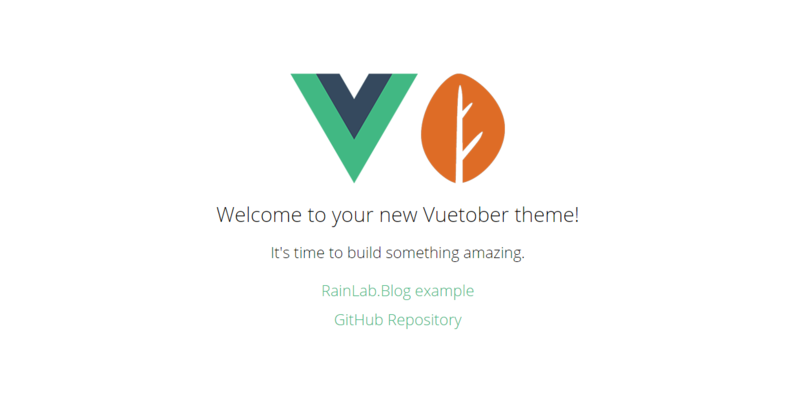 Get to know vuetober-theme and build single page apps with Laravel, Vue.js, and October CMS. This project is an opinionated approach to single page applications within the wonderful worlds of Vue.js, October CMS, and Laravel. Check out the live demo to see whats included out of the box. You can try the Blog example, but first you have to install the following plugins installed (they are free), after the initial setup.